John “Jack” Leonard Roy of Winter Park, Florida and Cincinnati, Ohio died peacefully September 9 at the age of 89. Jack was the son of the late John and Clara Roy, preceded in death by his wife and soulmate of nearly 63 years, Lynn, and brother Donald, and survived by his four children, Bruce (Cinny), Amy (Jim) Ferneding, Jenny (Ermel) Luckett and Rob (Naomi), nine grandchildren, Abbott (Jessica), Emily and Tucker Roy, Chelsea and Chase Eckert, Wes and Brad Luckett, Jack and Miles Roy, great-grandchild, Theo, brother Dave (Nancy), and devoted Samoyed, Lacy. A natural born leader, Jack grew up in greater Pittsburgh and attended Westview High School where he served as captain of the varsity football team and president of his senior class. Jack earned a full academic scholarship to Harvard College where he received his degree in 1950. Following his undergraduate work at Harvard, Jack went to work for IBM selling and leasing main-frame computers to corporations across the country. While living and working in Cincinnati, Jack met his beloved Lynn, and they married in 1954. Jack returned to Harvard to obtain his MBA, graduating as a Baker Scholar (in the top 5% of his class). After receiving his MBA Degree in 1957, he served as Branch Manager of IBM’s Indianapolis office. Pursuing a dream and realizing the computing potential associated with the IBM main-frame environment, Jack flourished in the data processing industry for 15 years. Between 1959 and 1974, Jack launched, grew and sold 2 very successful enterprises in Cincinnati, one of them to ADP. Early retirement for Jack was full of his favorite recreation, golf. 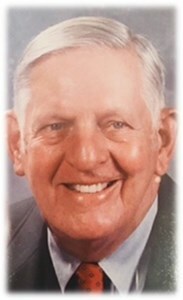 Jack was a long-time member of Cincinnati Country Club (Club Champion 1967), Coldstream Country Club and Hyde Park Community United Methodist Church. Four years of too much time on his hands gave birth to a new business pursuit in 1978, the purchase of Hydro Systems Company, a designer and manufacturer of chemical dispensing equipment. After 19 years of expanding and building the business nationally and internationally, The Dover Corporation purchased Hydro Systems in 1997. A second retirement at the age of 70 gave Jack a totally unexpected, new venture. Jack embodied the promise “for better or for worse, in sickness and in health” as he sacrificially accepted the role of sole caregiver to his wife, Lynn after she suffered a stroke. Jack was a man of integrity who lived by the promises he made, an ethical, brilliant entrepreneur as well as a very generous benefactor to various education, religious and medical communities. Add your memories to the guest book of John Roy.